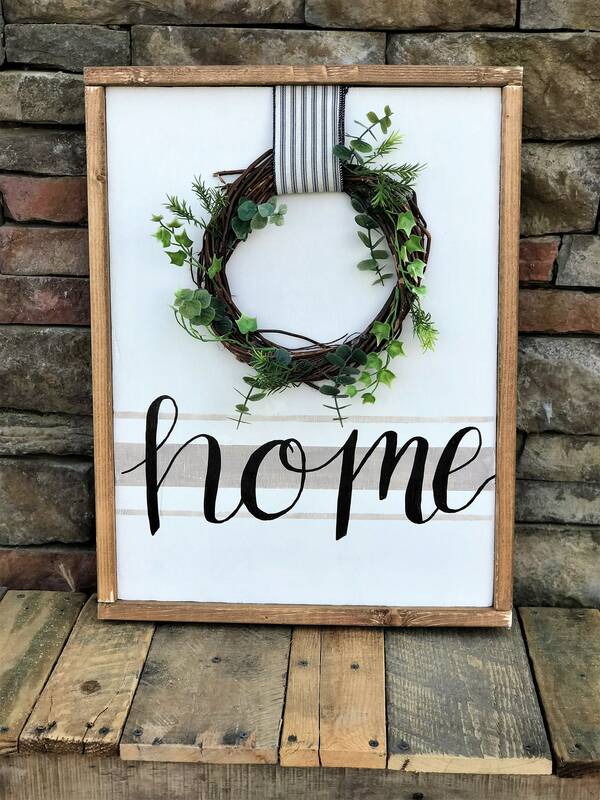 This cute sign reads "Home" painted in black. The background is painted white with a neutral stone colored grain sack/ ticking stripe. 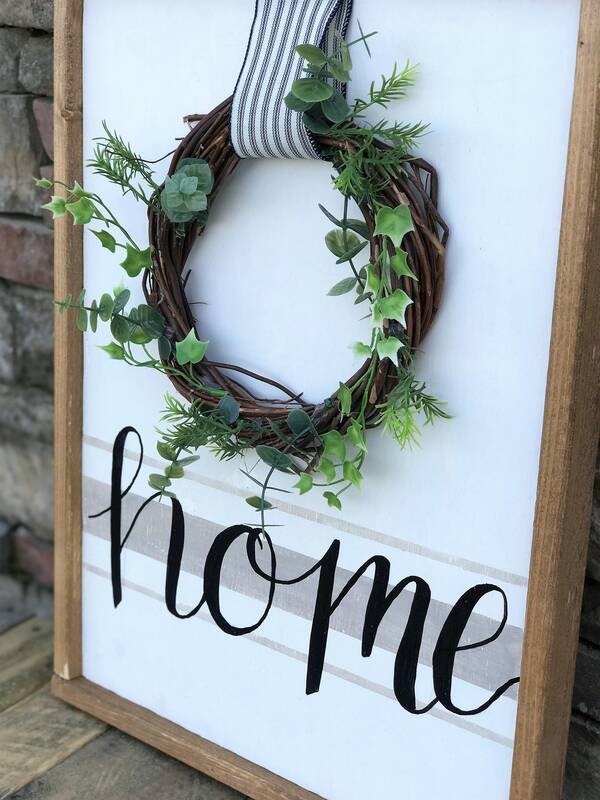 It has a wreath with greenery that hangs from a neutral toned, blue and cream colored striped ribbon.